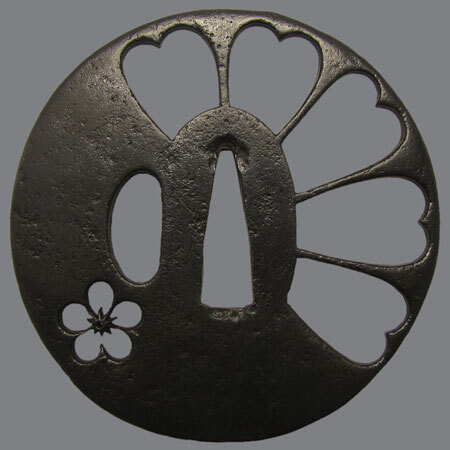 A half of this tsuba is made as a negative silhouette of chrysanthemum flower. 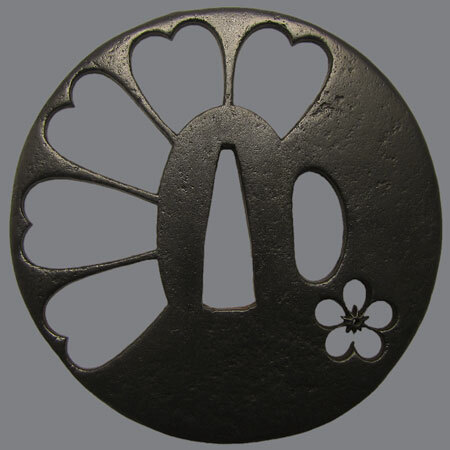 The second half is decorated with a cut ume flower. The plate become slightly thinner to the edge. 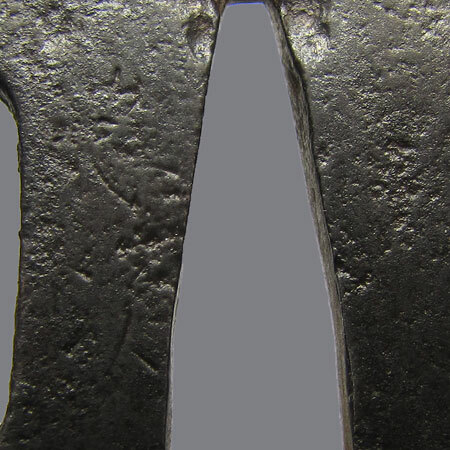 There are some tekkotsu on the edge. The design is classical for the group of artists from Kyoto, belonged to Umeteda school, who signed their works as "Tadatsugu". Insription: 忠次 (Tadatsugu). Umeteda school. Age - middle of Edo, 1675 - 1725. Maru gata, maru mimi; 7,8 х 7,7 x 0,5-0,4 cm.